This is back to the basics, reminding things over and over helps the concepts get deep into our minds. This is a self-reminder as well to keep me on track and remain debt free for as long as I can. 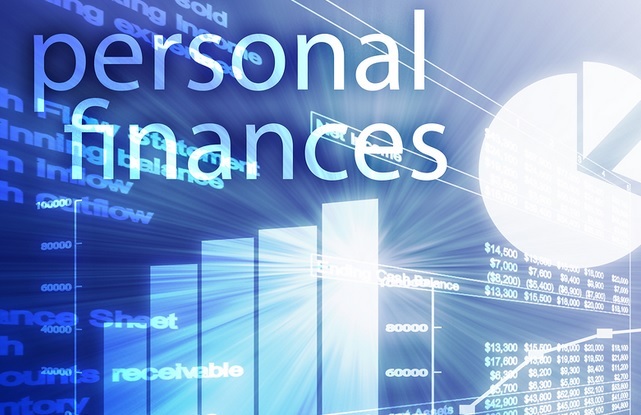 Personal finance is a wide subject, it consists of behavior and practices to control spending to provide maximum and sustained value out of the money throughout the life. This practice should start when we start our career. Spend control and delay gratification at an early stage are very much important if we want to live a happy and contented life in future. The day people understand the importance of managing personal money the journey towards financial freedom would start. I had previously written about 50 money rules that everyone should follow this can be a good starting point. These were what my father taught me by his actions, more than spoken words, during my early days as school going student. To date, those are the best lessons I learned on personal finance. Financial planning can best be self-accomplished, off course it’s my own opinion. All you need to know is basic mathematics and basic human psychology to plan all your finances. If required, you can seek help from the certified financial planner or from a money Coach, they are the specialized solution provider for your financial trouble. I have many acquaintances who successfully came out of debt with the help of a financial planner. And, I am still debt free sans any qualified expert’s help. Showing you the picture from both sides, you make your best judgment as to whether you need a professional help or not. When we talk about managing, we should also talk about the tools. Fortunately, there are plenty of free personal finance tools available in the market. I have used Yodlee, Mint and quicken in the past 10 years. They all are useful. On a typical personal finance tool, you can link your bank/investment/loan/credit card/brokerage accounts and get a single view of your finances, without having to log into individual accounts. You can see how much you earned, how much you spent and how much you invested. You can also see how your investment is doing. Which fund/stock returning more dividend to you. You can set a budget within the tool and set up alarms if you go out of the budget in a category, like restaurant bills, etc. I was mostly using Yodlee till 2014, then I switched to Personal Capital, it really changed my finances upside down. I didn’t know how much fees I was paying out of my 401 (k) account. I didn’t know that dividend return from some of my holdings was decreasing. There are some unique features to Personal Capital, that are missing in other tools. Like a “You Index”, which is really a stock index comprising only stocks you hold. so you can compare your performance against benchmark indices, like DOW and S&P. The scope of personal financial planning covers these aspects of our life. Your income determines your financial muscle power. The more income you have the better life you can lead. People might argue that income doesn’t always bring happiness, I respect them and respectfully deny them. At least I get happier when I earn more money. I certainly get more pleasure by having physical goods I crave for. Although, I am a big advocate for becoming emotionally, spiritually, socially rich. In order to grow your income/assets, you need to work towards Salary Increase and find passive Income sources to diversify income. Your savings secure your future life from monetary trouble when you no longer be working for income. You should always save some part of your salary so that you can have enough money to manage your own expenses when you retire. Personal finance is also about controlling shopping addiction and controlling impulse buy. While saving is important, personal finance is also about spending Money on self-improvement and about finding a balance between earning and spending and not missing good opportunities to spend. You can prioritize expenses, determine which expense is required, which can be deferred. You can control your day-to-day finances. You can take into account the unexpected need for funds. It checks you from overspending. You can start researching on alternative investments if you see surplus cash in future months. Another fundamental aspect of personal finance is keeping records of financial transactions. It provides the foundation for everything else to build on. Keeping records means keeping track of all of your financial transactions. This includes what you earn, what you spend, what and where your savings are. Record keeping enables us to understand what’s our financial position is now and how you’ve progressed over time. It will also provide valuable input into the future financial planning process. These are the crux of personal finance and we should always plan and provision for. We should always spend the money carefully and should save it for future use. You should try to cut back your expenses without sacrificing fun, look for fun which is available for free and feel richer in life. We should care for our money should remain debt free. Having necessary and sufficient insurance coverage is one important aspect of managing personal finance. We don’t want to see our hard earned money to be wiped out by an act of nature and negligence. Whether it’s house, car, health or even life, we need to make sure we have enough insurance for anything worse happen to us. Tax and risks are two very important but often ignored aspects of personal finance. File your tax returns on time every time and safeguard wealth from natural disasters. When we start our career we should put our best and should become one of the most valuable employees. We should also try to get self-employed, being a salaried employee we probably won’t ever work to our full potential. We should be on a lookout for opportunities and take risks to become richer in life. Loans are as essential as anything else in the list. Although loans on credit cards are bad, loans towards your mortgage are perhaps unavoidable. A person should manage a good credit to secure a loan at a cheaper cost. If your credit is not good you may need to pay higher interest on your loans. Managing personal finance thus requires you to manage good credit score. Fix your bad credit and get your score higher before you apply for a big loan. You should always make saving a fun and be a motivated saver and save regularly and should invest in such a place where to earn interest/dividend. We should prioritize savings goals and save for retirement. We should consider various investment options and diversify our investment as much as possible in 401 (k), Roth IRA, Stocks, CDs, Saving accounts, bonds, money market etc. This is how you would be able to manage your finances and make your future life better and comfortable. One day you will not longer work, your money should be prepared to work on your behalf. You would be able to have enough money when you retire and don’t become a burden on your children. Death and taxes are the two certainties of life. While nobody likes to talk about their death, it’s important to consider your estate. How should it be distributed once you’re gone? Make your will now provision for your death-related costs. Plan about the estate when you can. Readers, do you think the topics cover this broad area well? What questions/suggestion you have for another reader? You nailed it. Every one of the CFP’s six areas of financial planning is covered, in detail, plus more! If I were to add anything, it would be the importance of communication with people you’re setting goals with. A budget is important, but communicating expenses and goals makes achievement so much easier. I didn’t know the functional areas of CFP feels good that my understanding is inline. Communication and taking a buy in from family members is very important aspects. Thanks for pointing out. Evan, thanks for your comment. Yes personal finance is a simple practice. Doesn’t take anything more than discipline. I’ve had friends come up to me and tell me that they don’t really need to think about personal finance because they don’t have much savings and don’t have much debt. While reducing debt and increasing savings is basically 95% of personal finance, my friends can still practice increasing savings and maintaining zero debt. Off-course they should. Not having enough saving in itself is an alarming bell. Sometimes everyone needs to step back and take go back to basics. What do you really agree that it starts once you start your career? I might argue that it starts way before that. No? Well education should start way before. But the practical application could only start when you start taking money decisions. Yes if you are living in college and spending loan money then you should start practicing these. Good observation. Thanks mate for giving this kind of fantastic data.